People like to extract FLAC audio from Blu-ray/DVD or bought it from the Metallica website for its small size and high quality. But unfortunately, this excellent FLAC can’t be played in iTunes on your iPhone, iPad. That’s because Apple has home-brewed lossless codec – Apple Lossless, which provides the same bit-for-bit quality as FLAC, and is supported by iTunes and iOS devices. So if you have many FLAC audio on your Mac and want to transfer these FLAC to iTunes for playing on your iPhone/iPad, what should you do? For playing FLAC files in iTunes, what you only can do maybe is just to convert FLAC to Apple Lossless. 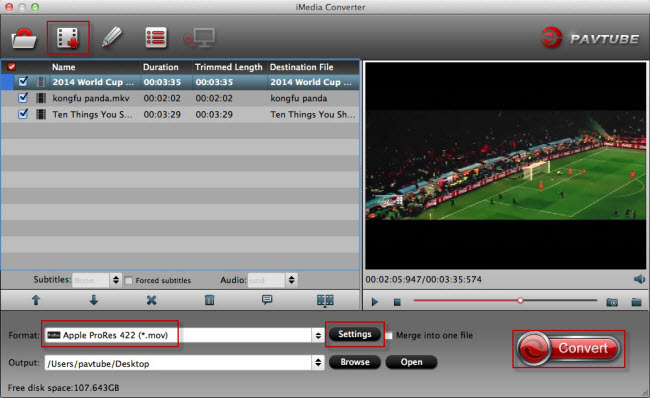 With Pavtube iMedia Converter for Mac, you can easily get the task done. This maybe is the only comfort for this pity. The product is a Bu-ray ripper for Mac + DVD Ripper for Mac + Audio Extractor for Mac and Video Converter for Mac. It can transcode FLAC to Apple Lossless for iTunes with fast speed. It allows you to adjust audio size, codec, bitrate and sample rate for outputting better audio for playback in iTunes. With it, you can turn nearly all kinds of audio formats such as AIFF, AAC, FLAC, AC3, MP2, OGG, DTS, WMA, RA to iTunes playable MP3, M4A, WAV format. 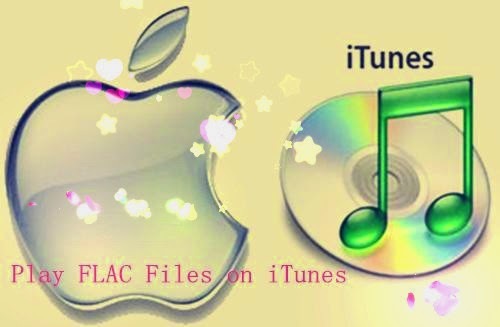 How to play FLAC in iTunes on Mac? Simply drag and drop FLAC files to the main interface of Pavtube FLAC to iTunes Converter; click “Add File” button to open FLAC files that you want to transcode. Click “Format” and navigate to “Common Audio”. 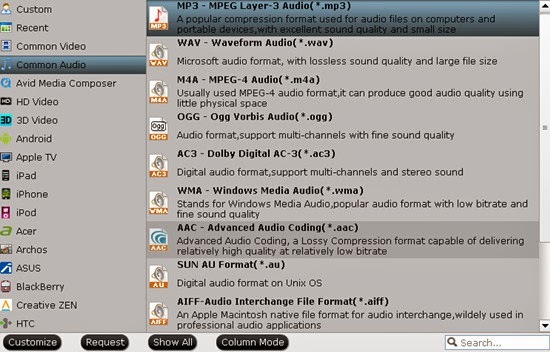 In the drop-down list to set “MP3 MPEG Layer-3 Audio (*.mp3)” as output format. Go back to the main interface if you have done all the preparation work. Hit the ‘Convert’ button to get our job started. The process will take you some time, which mainly depends on the size of all imported FLAC files and the performance of your Mac computer. Now, you can sync the converted FLAC to iTunes on Mac. When the process finished, you should be able to listen FLAC audio in iTunes successfully. How to convert DVD and Videos of various formats to iTunes?